Jim makes a mean mojito with mint from our Herb garden. (I capitalize the H because Martha says that’s how you pronounce it.) I was enjoying one of his concoctions the other night, when I set the drink on the steps to go in and get my camera, in case the chickens were in the mood to do something astonishing. 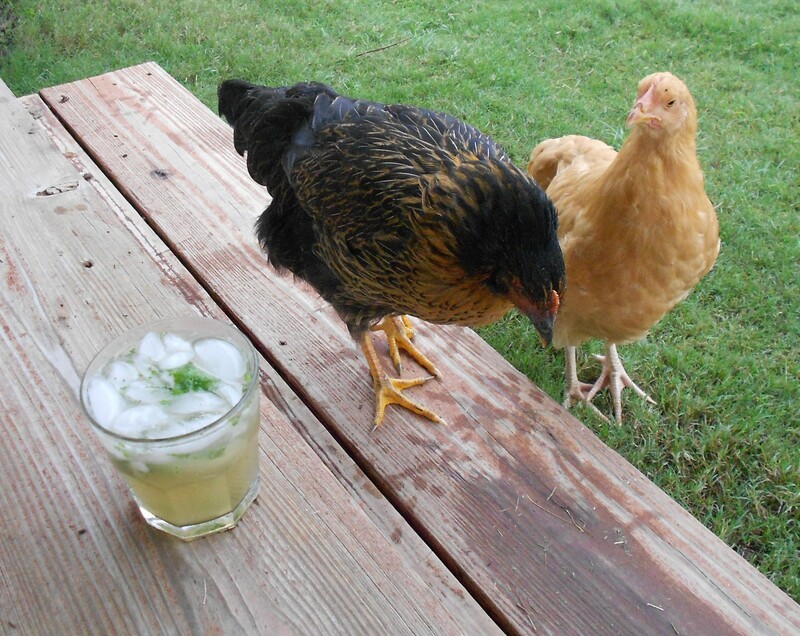 I just missed snapping a picture of Daisy pecking at the green stuff floating in my drink. Just a sip? I'm not driving! I told her she was too young for an adult beverage. Violet wants to try some tequila when she grows up. She heard there is a worm in it! Warning: Booze and chickens do not mix. Unless you are preparing Coq au Vin–then a little dry red wine goes nicely. Good one Miss Susna! 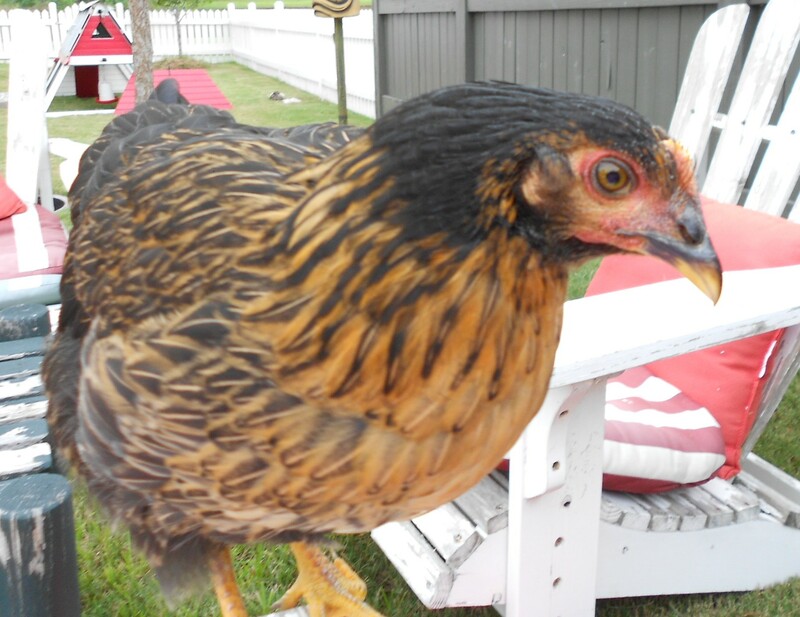 Cluck cluck cluck! 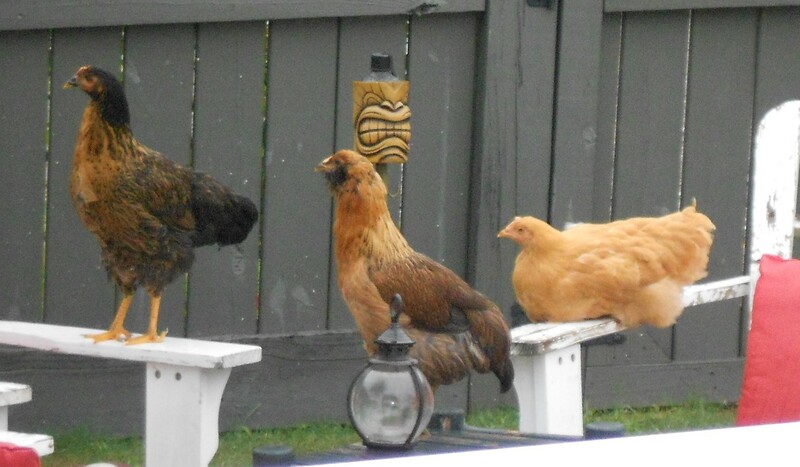 Your chicks know how to enjoy a hot afternoon. I wonder if they would like the absinthe that you and I said yuk to. Oh Lordy that stuff was horrible! I’d rather eat the worm!